The mission of the Pastoral Care Services is to bring peace, hope and unity to individuals, couples and families in the Malankara Archdiocese of the Syriac Orthodox Church in North America. People with problems often turn to the Church for help. Therefore, the Church must be able to address these problems based on our people's faith in God. As followers of Christ, our role is to always bring light into darkness, to help others. However, to do so, we must find meaning in our own lives before we can be that "light". The reality is that we struggle to find meaning in life. Additionally, in the midst of so much pain and evil happening throughout the world, those striving to serve others are facing tremendous challenges in shining Christ's light. As a result, many have grown tired, and even become apathetic. 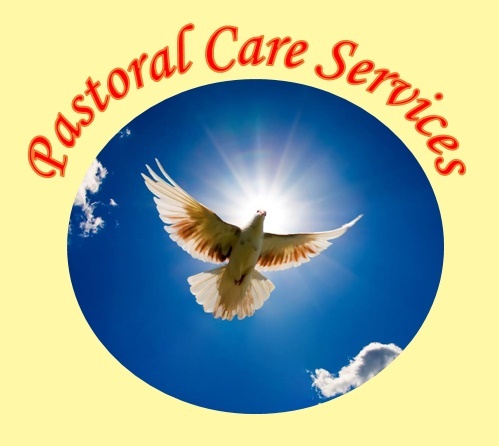 To advance the mission of helping others overcome their struggles, the Pastoral Care Services strives to enhance the well being of individuals, couples and families through reliable support, informed counsel, education, and spiritual guidance. Pastoral Care, in some iteration, has been an important part of the Church's ministry from the beginning of Christianity. It emphasizes aid for the spiritual and emotional needs of individuals and families. Pastoral care not only sees humans as physical beings, but also as spiritual beings. Therefore, we are concerned about the well-being of the whole person. We need to accept the reality that people are struggling with their work, caring for their children, health issues and financial problems. Pastoral Care Services has to be aware of a broad spectrum of issues, such as the care of children, health, and finances, in order to deliver effective services to the people. Overall, Pastoral Care considers spiritual guidance as a priority. When members of our Church are facing conflicts in marriage and family, we need to offer effective emotional and spiritual care. Pastoral Care can also aid in the well-being of children and youth throughout the Archdiocese. Pastoral Care emphasizes the Biblical picture of Jesus, in which our Lord is the shepherd, and the followers as the sheep. Just as the shepherd looks after the sheep, it is the responsibility of the Church to take care of the needs of its members. To facilitate that role of the Church, Pastoral Care provides focused education and training to clergy and lay members to enable them in helping those in need. In order to facilitate spiritual growth, we will develop programs for dialogue among members within the Archdiocese. For example, marriage enrichment seminars will prove to be helpful for couples by strengthening their married life. There are also programs to help families, youth and young adults in their commitment to Jesus Christ. Particular attention will be given to parents and children for developing effective communication with each other. These programs will also place special emphasis on the importance of the Sacraments and their influence in our lives. Family is an integral part of the Church. Traditional family values have significantly changed in the family system. Although parents today rely on the same methods of raising children that were used by their forefathers, the parent-child relationship has changed, resulting in the use some destructive methods for disciplining children. Therefore, there is a need to develop effective tools to help children overcome emotional problems and negative behavior. The parent-child relationship is a primary focal-point of the Pastoral Care Services, because parents need the right tools to nourish their children. The generation gap between parents and children continues to affect healthy family dynamics. His Holiness Moran Mor Ignatius Aphrem II, Patriarch of Antioch & All the East shall be the Supreme Patron of the Pastoral Care Services. His Eminence Mor Theethose Yeldho, Archbishop of the Malankara Archdiocese of the Syrian Orthodox Church in North America, shall be the President. The Archbishop will appoint a priest with a strong background in psychology and counseling as the Director of Pastoral Care. An Advisory Board consisting of five individuals will also be appointed by the Archbishop. Members of the board will be clergy and lay-members with an educational background in theology, medicine, psychiatry, psychology and mental health. Very Rev. Abraham O. Kadavil Corepiscopos has been appointed as the Director of Pastoral Care Services. The following are the members of the Advisory Board: Fr. Dr. Renjan Mathew, Fr. Dr. Zachariah Varghese, Dr. Roy Thomas, Dr. Thomas Varghese, and Dr. Shila Mathew. · To develop Pastoral Care Services as an organization that provides education, workshops and counseling. · To create a group of qualified and dedicated clergy and laypeople who will deliver supportive services. · To focus on recruiting dedicated persons to work on promoting the goals of Pastoral Care. · To establish a publication department which will produce articles to further the understanding of Pastoral Care, psychology and mental health. · To give the message of peace and hope to our members in the Archdiocese. It is with this goal that His Eminence Mor Theethose Yeldho announced the formation of the Department of Pastoral Care Services at the Annual Convention in Dallas on July 2013.